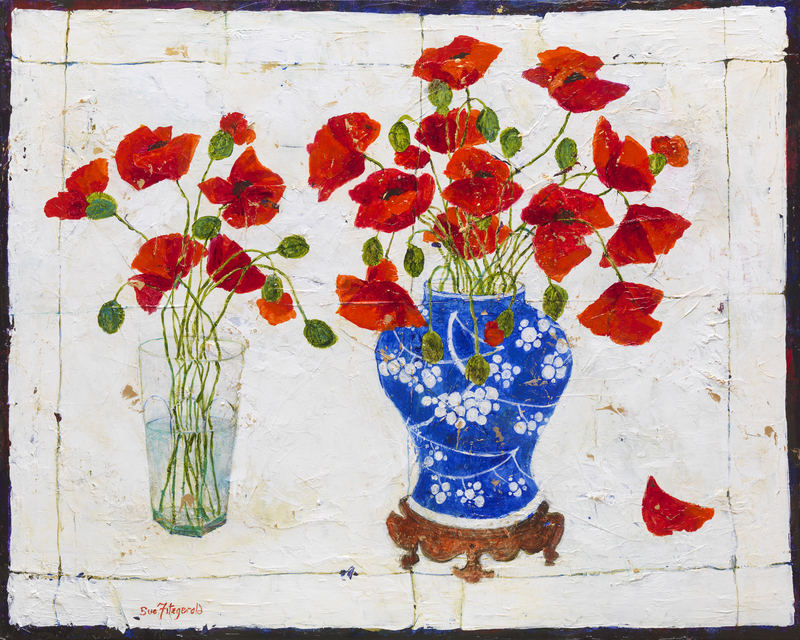 Sue Fitzgerald studied Fine Art in the 1960s and counts herself as extremely fortunate to have been at Art College during a time when students were taught to observe and to understand the techniques of drawing and painting. Sue maintains that this is the strong foundation of her work which has enabled her to take risks with confidence and to 'bend the rules' on occasions. Sue has lived in France, Germany, the Middle East and the Far East. 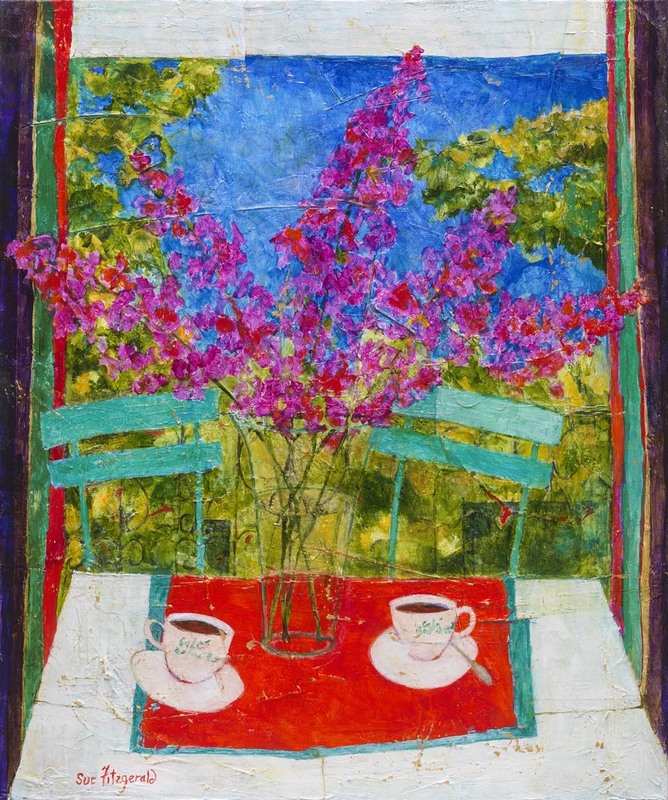 She spent much time working from her studio/cottage in the Languedoc region of France. The influence of Sue's travels is evident in her work. Sue frequently visits old haunts and new and returns home with brimming sketchbooks, gorgeous fabrics and interesting and unusual artefacts, reminiscent of Matisse. Sue is recognised as one of the leading contemporary colourists in Britain. 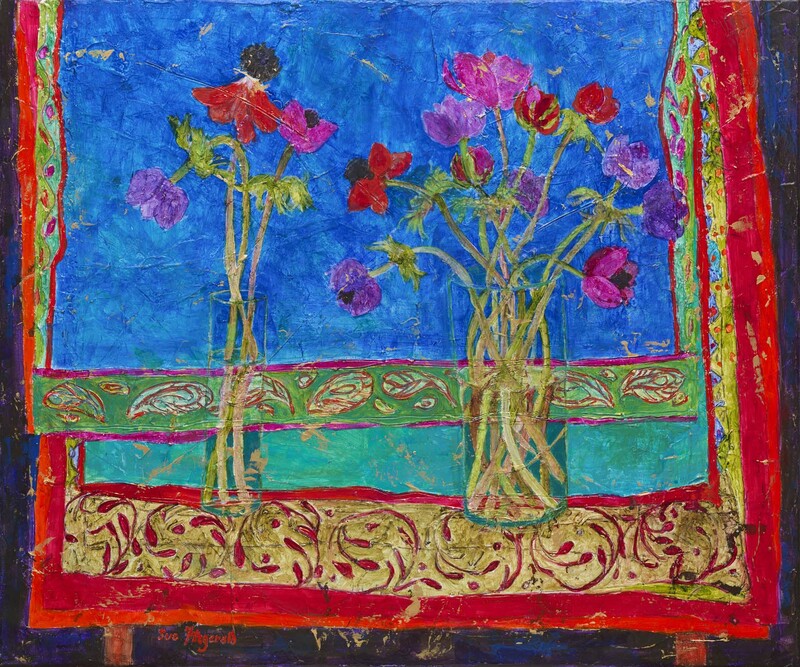 She continues in the vibrant tradition of Bonnard and Matisse and the pattern makers of Vuillard and the Nabis School. 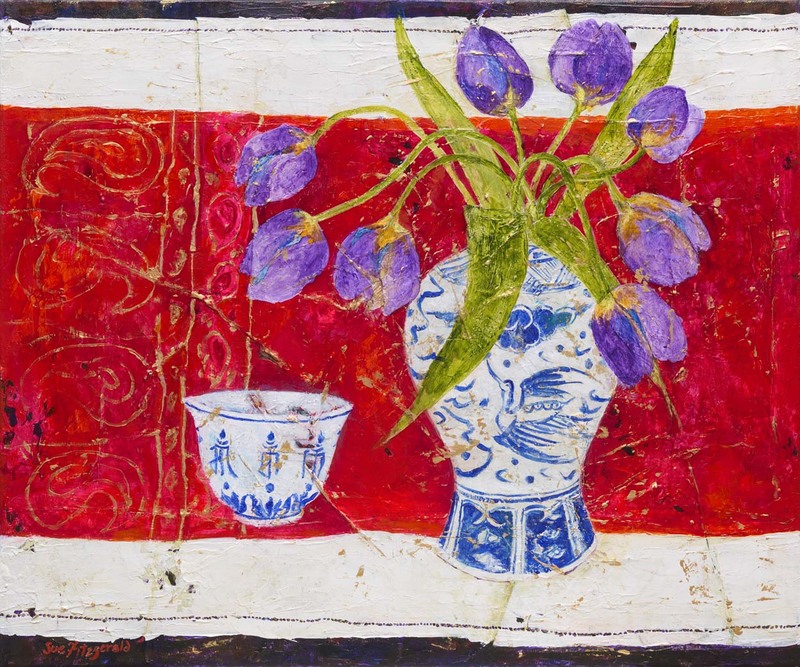 Exhibitions of Sue's work have been held in the Far East and London for many years and throughout the United Kingdom.